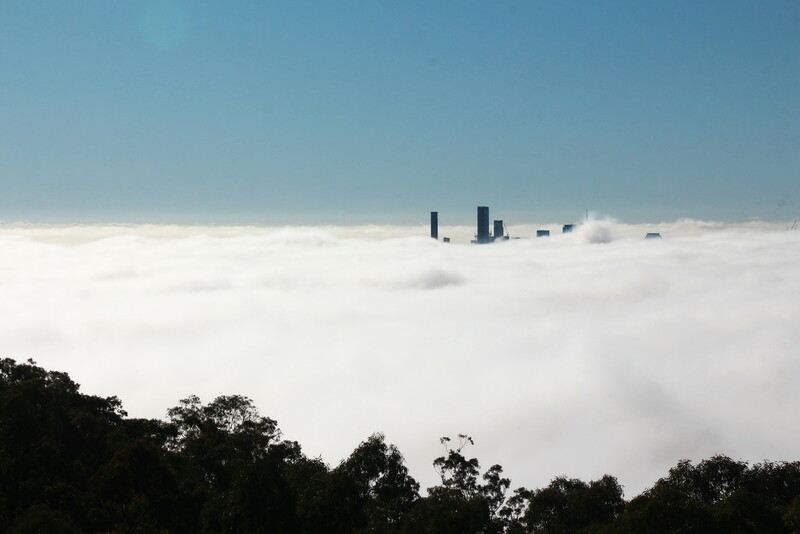 Brisbane city from Mt Cootha at 9 o'clock yesterday morning. Is this what you wanted to see Margo @777margo ? Ooh I saw this on the news yesterday, great to be able to catch it Terry. Wow, this looks amazing. Fabulous shot. fav. Yeah I saw on the news yesterday as well. Great capture. Also saw it on the news with flights diverted etc.Nice shot Terry. I love how the city just appears! Now that's what I call a thick fog. Amazing capture. Love the way the buildings are just poking out. @ubobohobo Any time Margaret. We are empty nesters. I nearly made the offer after you put up the posting a few weeks ago when hubby had to go into hospital and you were looking at accommodation. I gathered he was at the Wesley? We are not that far from the Wesley. Wow! That sure is some thick fog! Glad you showed us Terry. And no - not going to the pub for the Beach Boys!!!! Amazing shot. I saw on the news that you had a bit more fog. I did hope that you got up to take a few shots.